This is my last post for 2016, and I say that with a certain amount of relief. It’s been a big year of writing, in many forms, and, frankly, all I can think about doing right now is shutting down the many browser windows in my brain for a few weeks. 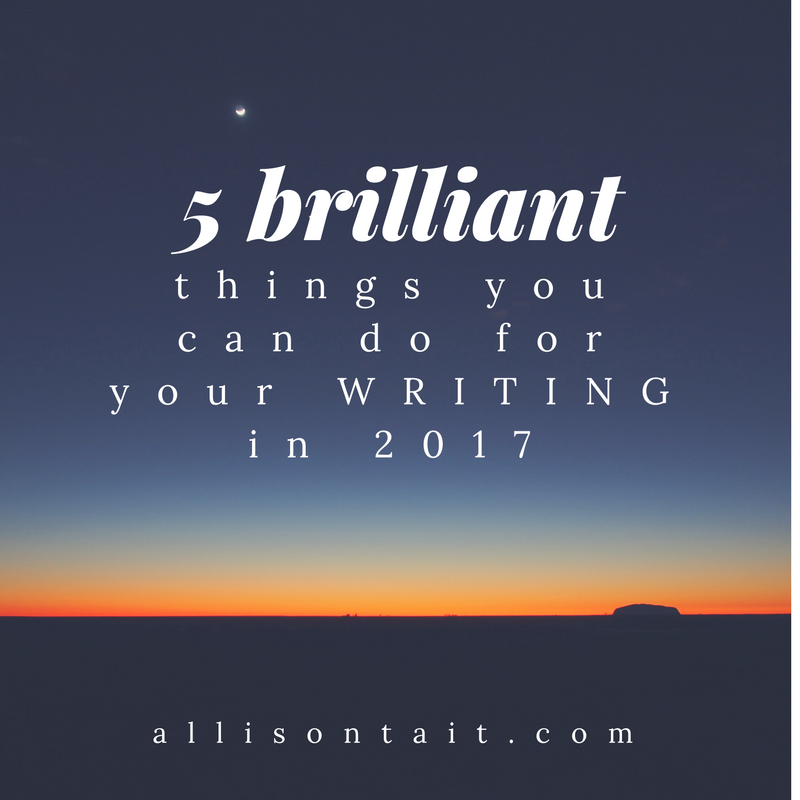 To finish up the year, though, I thought I’d look ahead, with a few ideas about five brilliant things you can do for your writing in 2017. Interestingly, only two of these things are specifically writing-related, but all of them will have a positive effect on your words. Relax. I understand the imperative to write. I have it in spades. I also understand the imperative to be published. What I’ve learnt over several years of writing and being published, however, is that all of these things take time. You can’t force the work – and if you do, you’ll probably need to do so much editing that you’re just creating more work for yourself. And you certainly can’t force the publishing world to sit up and take notice (though you can definitely take steps in that direction! ).What you can do is to work hard, do the best you can, appreciate that the best work takes time, and give yourself some space to enjoy the ride. Because the ride is amazing, trust me. Take a course. 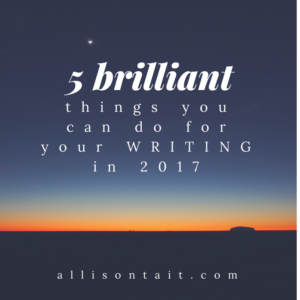 Even the most talented writer in the world can benefit from a course or two. Whether you choose to focus on craft, promotion, or industry knowledge, there’s always something new to learn. I’ve decided on two courses that I’m going to undertake this year, and I can’t wait to get into them!As an alternative, listening to the 100+ author interviews from So You Want To Be A Writer, my podcast with Valerie Khoo, is a writing course in itself – and it’s free. Read books by five Australian authors you’ve never read before. I’m being very specific here, but I am an Australian author and I feel that part of my job is to support my industry. That means reading books by Australian authors. Doing this helps my writing in two ways – one is that I get to discover the wide and wonderful variety of Australian voices and stories out there. And two, I get to support the industry in which I work.If you are an Australian writer and you’d like to be a published Australian author, support your industry. It’s easy – and it’s fun! Write something different. I know you’re focussed on either finishing your manuscript or polishing your manuscript, but here’s a tip: Take the time to write something different. Exercise a different set of writing muscles. Whether it’s trying a non-fiction piece – essay, feature article, memoir – or setting out to write the opening chapters of a YA novel, branch out. Start a blog if you don’t have one – it’s great for developing your voice.I think that sometimes we get locked into the idea of the kinds of things we should be writing, and it’s only when we try something completely different that we, perhaps, discover our true calling. Are you new here? Welcome to my blog! 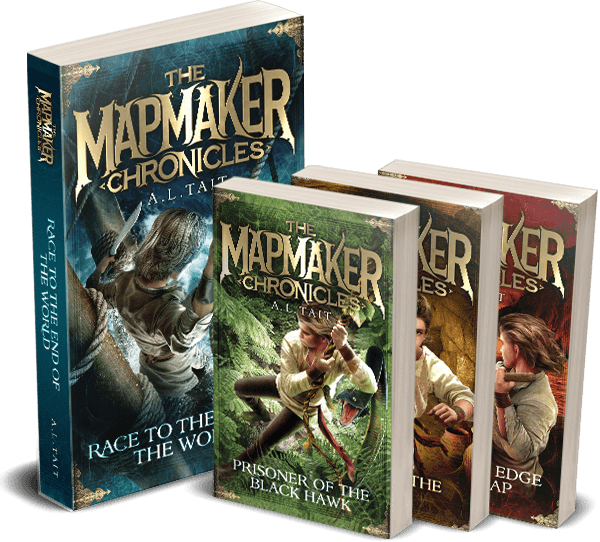 I am the author of two epic middle-grade adventure series, The Mapmaker Chronicles and The Ateban Cipher. 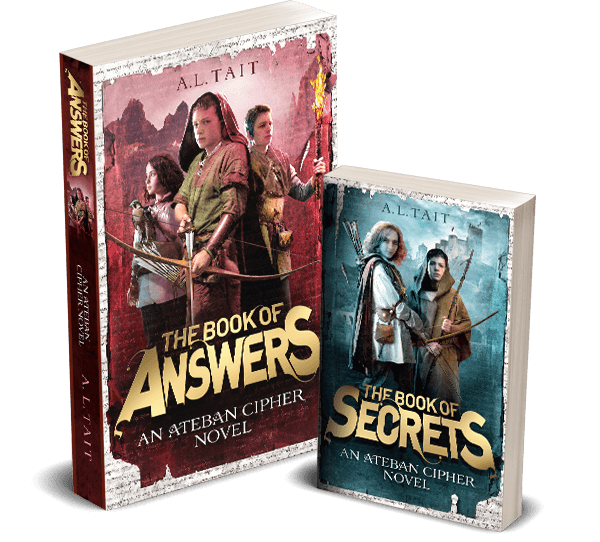 You can find out more about my books here. I’ve also created four on-demand courses for the Australian Writers’ Centre: 30 Day Creative Writing Bootcamp, Make Time To Write, Build Your Author Platform and Kids’ Creative Writing Quest (for writers aged 9-14). Find out more about each one by clicking on the title link.